History of Northern Star Communications Ltd.
History of Northern Star Publications Ltd.
Northern Star Publications Ltd. (NSP) is a privately owned printing and publishing company founded in l990. The main focus of NSP is that of service to the Canadian oil and gas industry. Calling ourselves “Printers for the Patch,” NSP publishes four oil and gas periodicals: “Energy Processing Canada,” “Propane Canada,” “The Roughneck,” “The Roughneck Buy & Sell,” and “The Canada Gas Plant Directory.” Together, the publications have a total publishing history of more than 150 years. "Energy Processing Canada” focuses on the downstream end of the oil and gas industry, typically from the wellhead on. Editorial content deals with gas processing, refining, petrochemicals, oil sands and heavy oil, pipelines, and all issues related to the production of hydrocarbons. “Propane Canada” is Canada’s only LPG-focussed magazine, a multibillion-dollar sector of the oil and gas industry. We deal with marketing, transportation, manufacturing, safety, carburetion, and R&D, and also cover the major events in the North American natural gas liquids sector. “The Roughneck” was founded in l952, just five years after Leduc #1 started the modern era of the Canadian oil and gas industry. The magazine covers the upstream end of the industry, from drilling and exploration to production and production optimization. Company profiles are interspersed with down home coverage of the many events in the calendar of this most vital sector of the Canadian oil and gas scene. “The Roughneck Buy & Sell” acts as a new and used equipment and services, bringing customers and sellers together in a monthly magazine format. Designed to be read quickly, and focusing on the relationship between buyer and vendor, the Buy & Sell also covers news of the industry in a highly readable format. 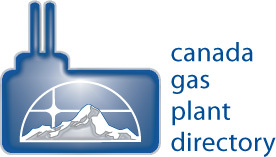 “The Canada Gas Plant Directory” is Canada’s most complete source of general and technical information on the over 800 gas plants in Canada. Information is also included on compressor facilities over 10mmcf/d. This directory uses maps which pinpoint each gas plant delivering at least 30 different information points for each plant. If you deal with the gas processing industry in Canada, this product is indispensable.